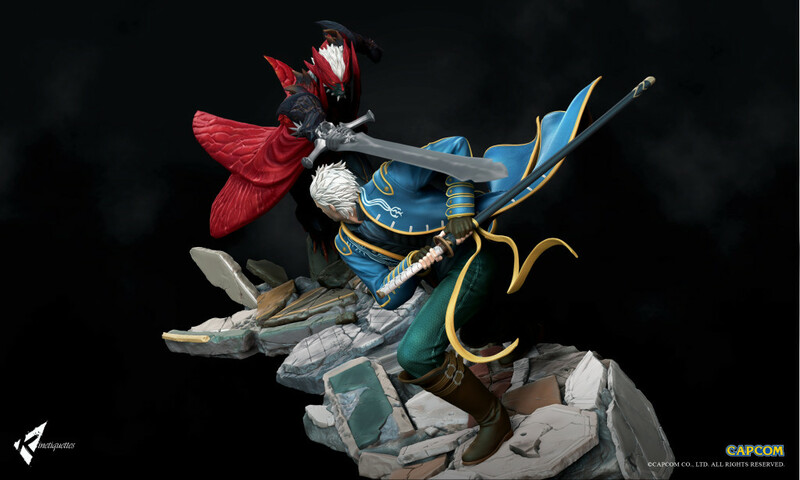 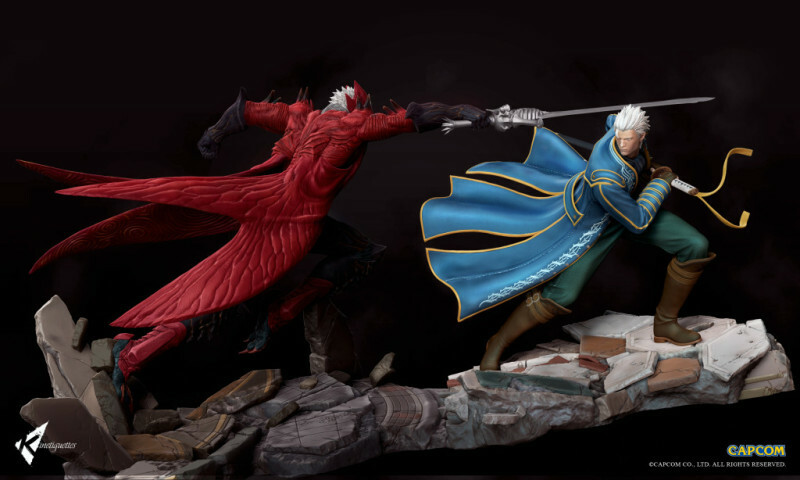 Finally I can show you the pictures for the Devil May Cry diorama statue that I sculpted for Kinetiquettes. 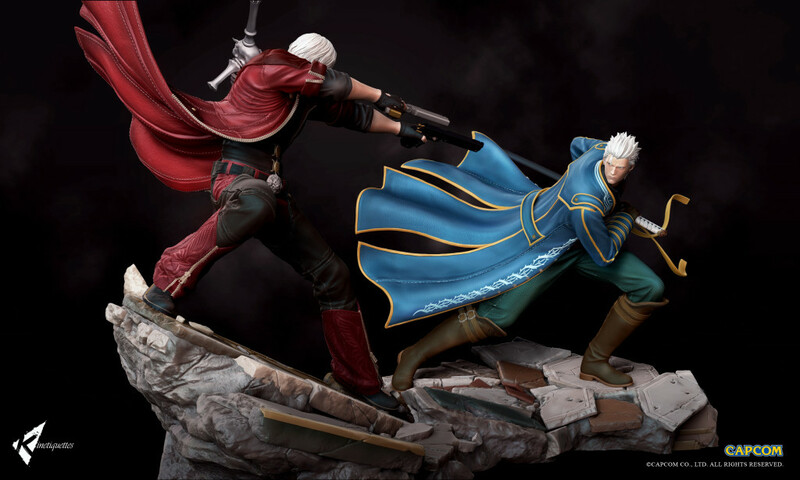 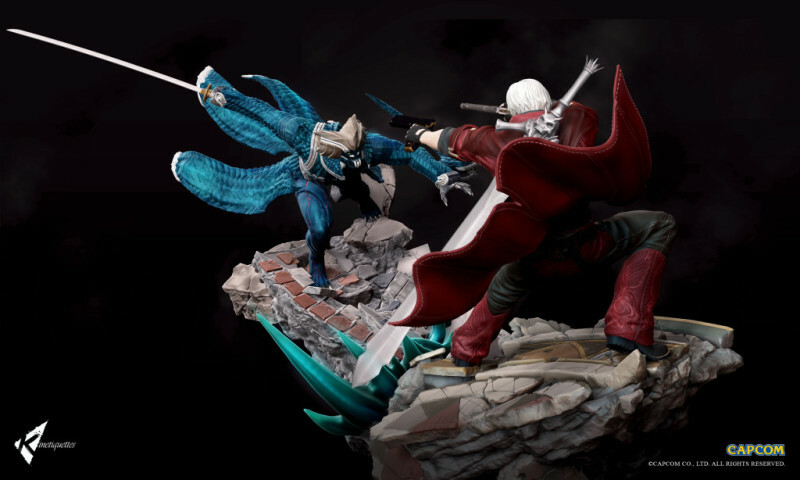 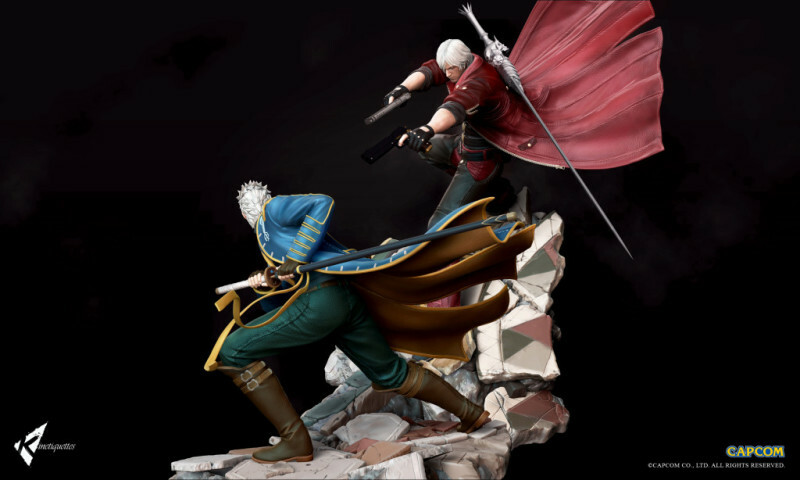 So, there are two sets of statues, Dante and his Devil Trigger version, second one is Vergil and his Devil Trigger version. 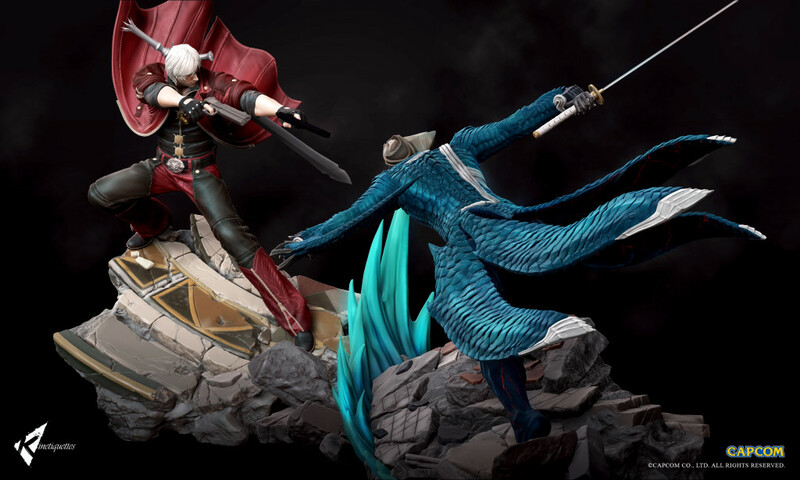 And you can combine each of them or all of them to make the battle dioramas. 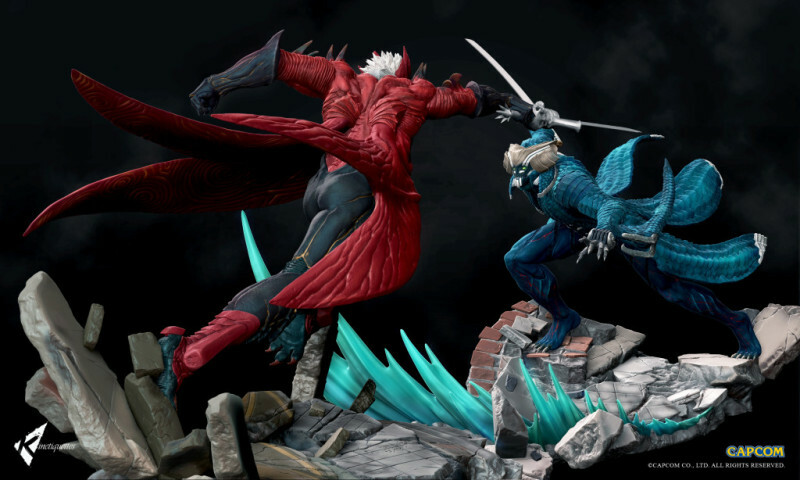 I sculpted them in zbrush, with art direction from Adeeb Mynul, the guy from Kinetiquettes. 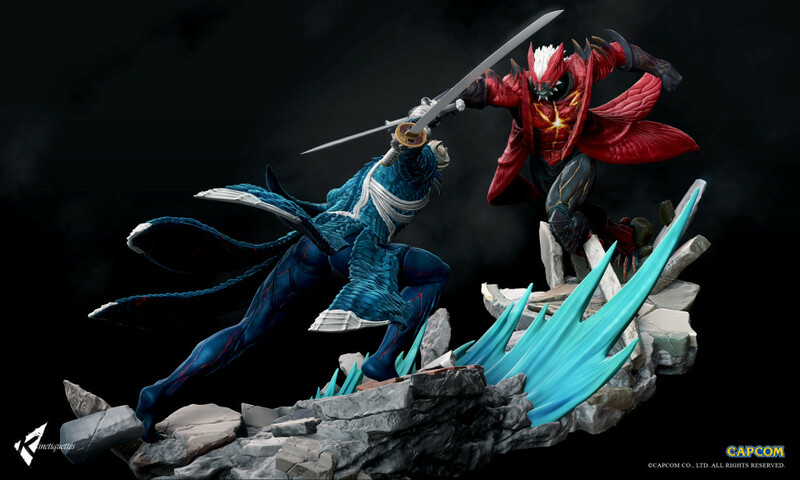 It’s really fun to sculpt this diorama, and challenging, because we need to ensure it looks good if we combined each statue. 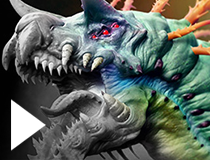 I can’t wait to see this dudes printed.